Ben Frost aka Medium has been a sound head since his beginning. Having taken up piano at 8 years old and been a member of a metal band for 7 years playing drums, it wasn’t long before he discovered his love for drum and bass. 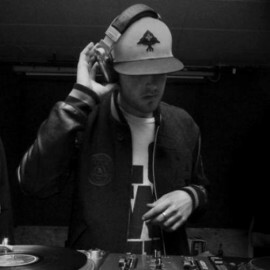 Acquiring turntables in 2008 launched him into the local scene where at Fu Bar, he began to make a name for himself. He quickly rose up the ranks becoming known for his tight mixing and smooth tune selections. Today he is the man behind Future Frame Promotions events and is considered one of Auckland’s top drum and bass DJs and up and coming producers. With tracks released on Influenza Media, and now two solo EP contributions on Broken Audio, the future is looking bright for this young gun. 1. Name a track by another producer you wish you had made? 2. Your perfect day off would be doing? 5. Greatest influence on your music? DnB it’s Icicle & Enei. Non D&B it’s Boards of Canada, Massive Attack and the Chemical Brothers.